Not to get all English major-y with you, but the words have an onomatopoeic quality. Generous sounds spacious and open and free. Stingy sounds rigid and tight and closed. And that’s how they feel, too. Author and meditation teacher, Sharon Salzberg teaches that when we feel the impulse to give to follow it. She tells a story about thinking of giving a book to someone and then her mind going on a stingy rant of “she won’t appreciate it” and “you might need it later” and “you don’t really know her well enough to give her something.” When my heart says, give, give. Stingy is different than frugal. Stingy feels sticky. Stingy is withholding what I have and could give. Right at the root of stingy lies fear. One way for me to get past stingy is to give things away. Lately, I’ve been spending time clearing out closets and cabinets and bookshelves. I want to see how little I really need. My home is full of things that could help someone or at the very least are adding nothing to my life. My practice these days is to give it away. The process of giving away can be full of emotion, don’t get me wrong. In the clearing of my own home, I’ve found myself tangled in feelings of fear (“Gak, what if I need this second waffle iron some day!”) and grief (“That whole part of my life is gone and over.”) and even anger (“I paid so much for this fancy suit in 1988, I’ll be damned if I’ll just give it away!). In her book The Life-Changing Magic of Tidying Up (one of those marvelous books that I’ve gotten so much out of without actually reading), Marie Kondo suggests asking “Am I having trouble getting rid of this because of an attachment to the past or because of a fear for the future?” Interesting questions, those. Particularly when I’m looking at cards from my students and journals from past trainings and books of any kind. 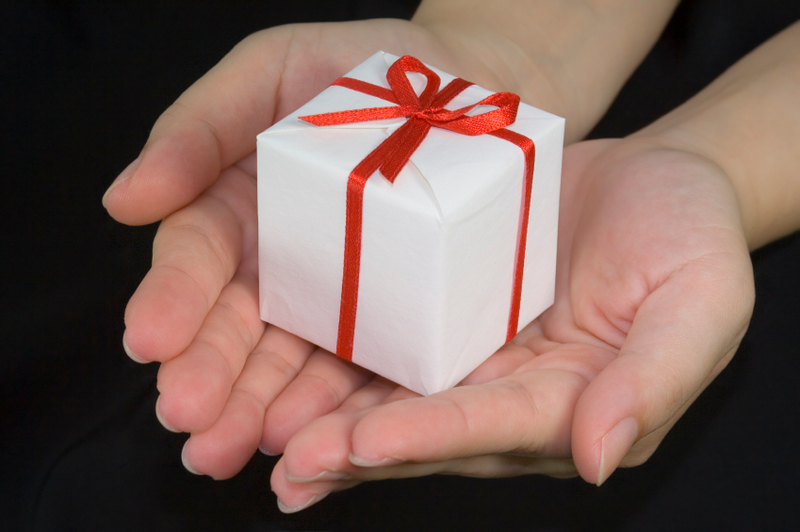 Despite the sometimes conflicting feelings about giving, generosity feels good. Think of a gift you’ve given that you were excited about. Even if it was more expensive than you were planning, how did it feel? For me, there is enormous energy in giving, a spaciousness, a soaring, even. It feels good to be generous. But while generosity of monetary and material gifts is, without doubt, a spiritual practice, in some ways, giving the physical stuff is the easy part. Tomorrow, we’ll dip into the real deal of generosity.